Each meal begins with complimentary sangria, which is so much better than kidnapping. It’s also a BYOB spot with a $5 corkage, so I brought some wine to join the sangria. After that we started off the eating with some arepas. These are essentially corn (maize) meal pockets stuffed with whatever the place is offering that day. On this day, we chose the shredded chicken with cheese, which also came with an aioli for some added flavor. Sadly there was a random piece of lettuce and sliced tomato on the plate, but they didn’t hurt the arepas. 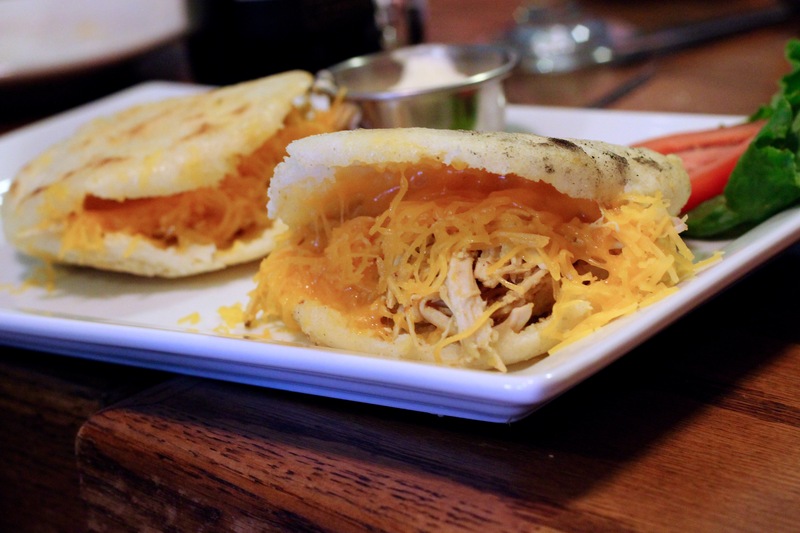 These were some pretty tasty arepas with a sizable amount of cheese and chicken inside. The dough itself was also mighty good. For my real meal I went with their Pabellon Criollo – a pretty traditional Venezuelan dish according to my research. 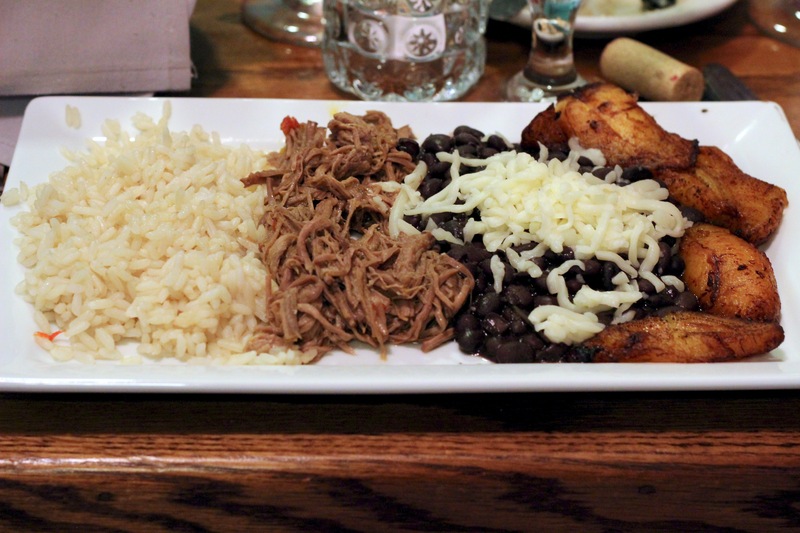 Like the cuisine of many other Latin American countries, this dish is essentially rice, beans, shredded beef and plantains. In these case, the plantains were sweet with a nice slight crisp, the beans were black and cheesy and the shredded beef was perfectly seasoned. In short, this was a delicious meal. Nonetheless, I should point out that those of my friends who ordered from the Italian part of the menu weren’t as happy as I was. They didn’t dislike their meals, but Pittburgh simply has much better Italian to offer. With Venezuelan, though, Adolfo’s might be it and it doesn’t disappoint. "For some reason?" Read your sentence again. Note that you implied the reason that Italian food is prepared in this restaurant is because it is located in Bloomfield, Pittsburgh's Little Italy. So, therefore, since you supplied what you think is the reason, it makes no sense to attach the phrase, "for some reason", to the end of that sentence. The challenge of logic aside, your guess for why Italian food is served at Adolfo's is incorrect. Adolfo's location in Bloomfield has nothing to do with why they cook Italian food, as well as Venezuelan. For clues, one could start with their cloth awning, located at the entrance of the restaurant, where it is stated in large caps, "ITALIAN AND VENEZUELAN CUISINE". Additionally, a few minutes of research will reveal that the head chef is of Italian parentage and happened to be raised in Venezuela. That Italian as well as Venezuelan food is served at Adolfo's is hardly a mystery to even the most casual observer. You must have a ton of friends!